The leader in deformity correction and Height Lengthening	We provide opportunities for all individuals to achieve their life-long goals. Dr. Mahboubian is the best orthopedic surgeon in CA hands down! His office is super clean and the staff is always extremely accommodating and friendly. But one of the best things is that Dr. Mahboubian is that he listened to each of my questions and answered them carefully. It's not like a generic answer but he explained in detail about height increase surgery and its benefits and effects. Not only he listens to each of the new patients but also previous patients too. He is genuinely humble and very down to earth person. I am really happy to see the results that I have always wanted to achieve. I highly recommend going to see Dr. Mahboubian over anyone else in the city! I have been a patient of Dr. Mahboubian's for a little over 3 years now. In September of 2014, I was involved in an accident that dislocated and broke my right ankle in 3 places. Dr. Mahboubian made himself available in very short notice and had me in surgery to repair my ankle within a week. He did an amazing job. I now have some metal in my ankle, but I am still shocked at how small the scars are. Throughout the recovery process, Dr. Mahboubian was very patient with me and helped explain what was to be expected. I am still a patient of his because the injury was so severe I have since developed bone spurs and arthritis in the ankle... Rather than rushing for more surgery, he has worked with me on a recovery path that includes physical therapy and cortisone... I appreciate that he is always trying to find the least invasive way to improve the situation while handling expectations. I would definitely recommend him!! I am very active so I occasionally get injuries that eventually require medical attention. I have seen Dr. Mahboubian twice, now, in 2 years and I never regret going to him. He and his staff are punctual, polite, knowledgeable, and kind. He always seems to prefer informing all the patients first before recommending any height lengthening surgery, which is refreshing, considering my interactions with other orthopedic surgeons. The first time I saw him (ankle) he made sure to call me on my cell phone with my test results even though it was later at night and I'm sure he had a long day. Today (shoulder and knee) he again made sure to explore the options and tailor initial treatment for my body's needs. I would recommend his office to the casual athlete any day. Dr. Mahboubian is amazing! I had a nasty fall in my home, shattering all of the bones in my right ankle. I'd been given the runaround by half a dozen other orthopedic surgeons, most of whom wouldn't see me for three to four weeks! Dr. M took my case, scheduled my surgery within six days of the initial visit, and did an amazing job. His office is clean, his staff is amazingly friendly, and I'm so glad my medical group found him for me. Dr. Mahboubian has to be one of the most caring doctors I have come across in my life. He truly cares for his patients well being and does everything he can to help advise and guide them in the right direction. Even though he gets paid for surgeries, he does not push them on you. He always tries to find the least invasive way to help you get better first before recommending surgery... not many surgeons you can say that about. He is honest and has a great heart.. he is also a master at his craft. Not only is he my Ortho but I also sent my mother to him for surgery. Dr. Shahab Mahboubian, an orthopedic surgeon specializing in Height Lengthening surgeries, can help you to improve your body image, your self-confidence and ultimately make a positive impact on your life as a whole. 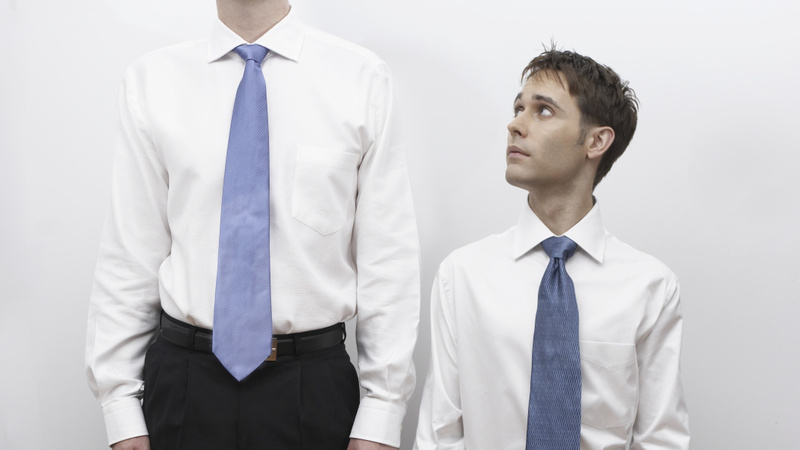 Height enhancement surgery, also known as “Cosmetic Limb Lengthening”, is something that used to be reserved for those who had genetic anomalies causing an abnormally short stature such as dwarfism or those who have severe deformities. 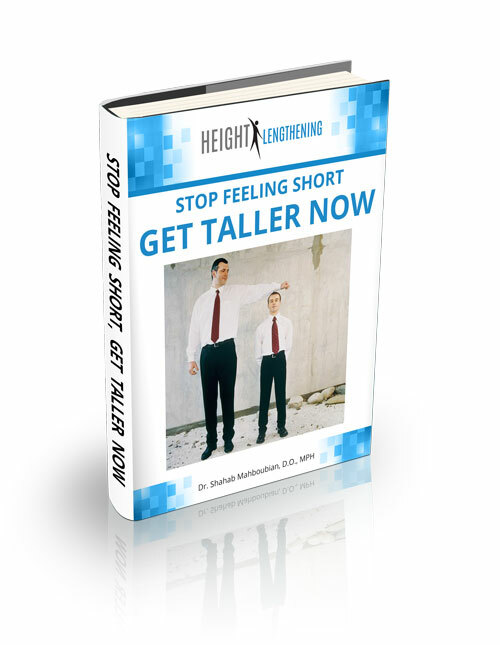 However, more and more practitioners of the surgery have begun offering it as an alternative procedure for those who are simply unhappy with their height. Have a look at real-life leg lengthening surgery before and after pictures. We have had patients from over 40 countries around the world who have successfully complete a Height Lengthening surgery. Our office is located within a few miles of Downtown Los Angeles where our patients can enjoy a visit to one of the most interesting cities in the world. Come visit us in Los Angeles, California and let us assist you in regaining your confidence!